Welcome to Day 90 of 100 Days of Disney here on The Purple Pumpkin Blog! Be sure to check out all of the other posts in this series, and if you would like to share your own Disney blog posts or pictures, make sure you check out our #100DaysOfDisney Link Party! The penultimate post for Saturday Night At The Disney Movies! 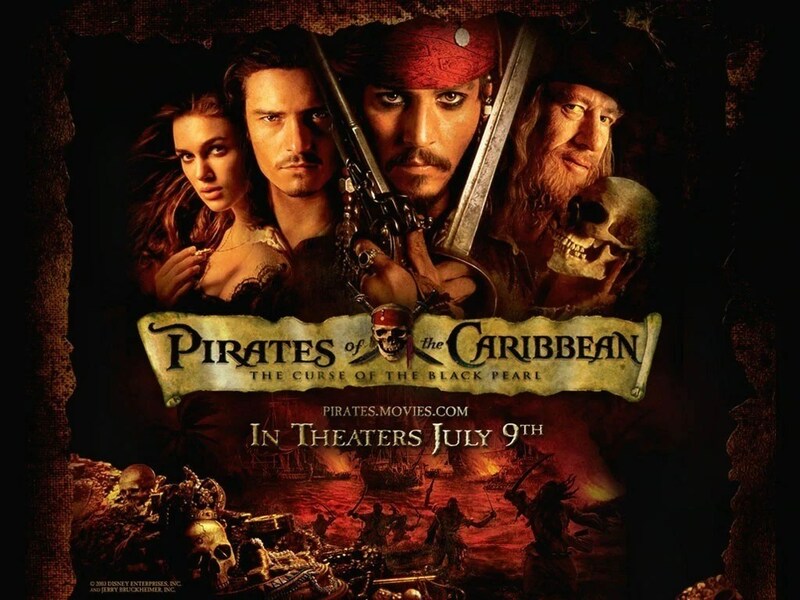 This week it’s not just one movie, but a quadrilogy…Pirates of the Caribbean! 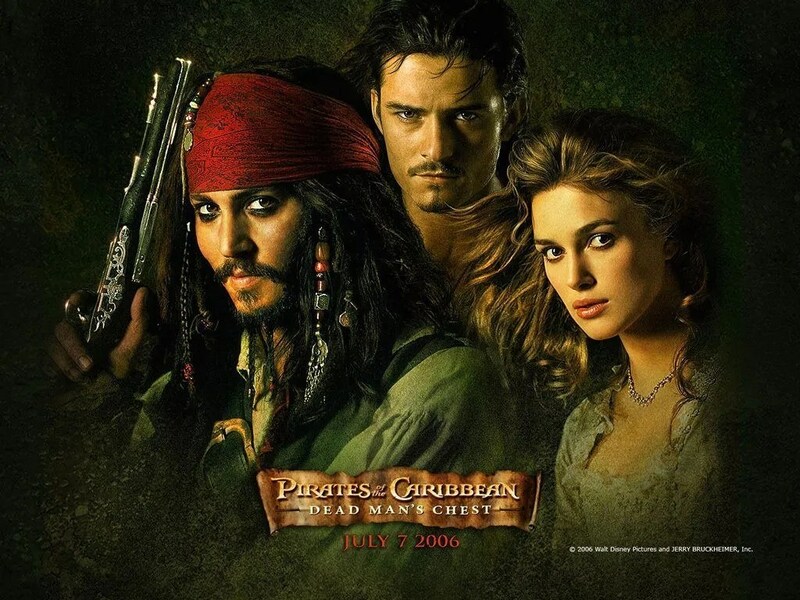 There are currently four Pirates of the Caribbean (PotC) movies – The Curse of the Black Pearl (PotC 1), Dead Man’s Chest (PotC 2), At World’s End (PotC 3) and On Stranger Tides (PotC 4). A fifth movie is scheduled for release in 2017 and has the title of Dead Men Tell No Tales (PotC 5) and I’m super excited for that – I need a Captain Jack Sparrow fix! 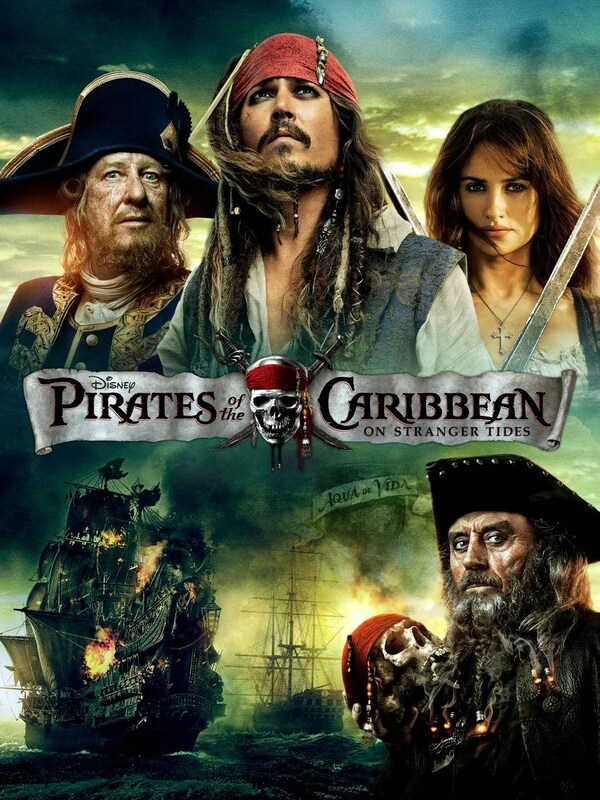 Blacksmith Will Turner teams up with eccentric pirate Captain Jack Sparrow to save his love, Elizabeth Swann, from undead pirates led by Jack’s former first mate, Captain Barbossa. Jack wants revenge against Barbossa, who left him stranded on an island before stealing his ship, the Black Pearl, along with 882 pieces of cursed Aztec Gold. Lord Cutler Beckett of the East India Trading Company arrests Will and Elizabeth for aiding Captain Jack Sparrow in the previous film. Beckett offers clemency if Will agrees to search for Jack’s compass in a bid to find the Dead Man’s Chest – and inside, the heart of villainous Davy Jones – which would give Beckett control of the seas. However, Jack wants the Chest to escape from an unpaid debt with Jones, who raised the Black Pearl from the seabed (after it was sunk by Beckett) and made Jack captain for 13 years in exchange for 100 years of service aboard Jones’ ship. Lord Beckett gains power over Davy Jones, and with the help of Jones’ ship, the Flying Dutchman, he is now executing his plans to extinguish piracy forever. 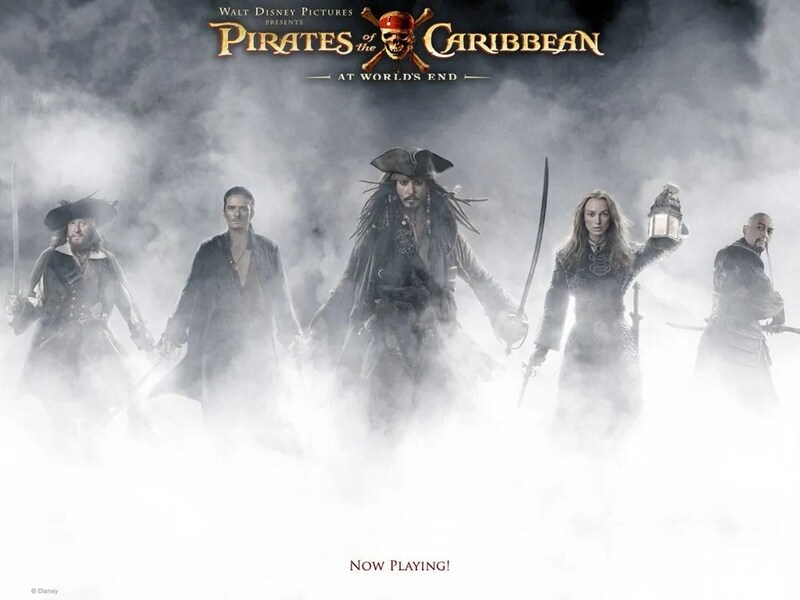 To stand against the East India Trading Co., Will, Elizabeth, Barbossa, and the crew of the Black Pearl set out to rescue Captain Jack Sparrow from Davy Jones’ Locker. As one of the Nine Pirate Lords, Jack is needed in order to summon an ancient goddess with the power to defeat Beckett’s forces. Captain Jack Sparrow is on a quest to find the fabled Fountain of Youth and crosses paths with a former lover, Angelica. She forces Jack aboard the Queen Anne’s Revenge, a ship captained by the infamous pirate Blackbeard, Angelica’s father. Both are also in search of the Fountain; Angelica to save her father’s soul, Blackbeard to escape a prophecy of his demise at the hands of a one-legged man. Joining the hunt is former pirate captain Barbossa, now a privateer in King George II’s Navy, who is in a race against the Spanish for the Fountain. was such a success that Disney closed their Pirates of the Caribbean attractions at Disneyland, California and Disney World, Florida to update them. The new storyline of the attractions is Captain Barbossa chasing Jack Sparrow, both of whom were added in the form of animatronics. take place in a fictional historical setting; a world ruled largely by an amalgam of alternative versions of the British Empire and the East India Company, with the pirates representing freedom from the ruling powers. PotC 4 was released in 2011 and grossed over $1 billion worldwide becoming the second film in the franchise, and the 8th film in history to achieve this. all the four films were nominated for a total of 2 Golden Globe Awards, of which neither were won. all the first three films were nominated for a total of 13 MTV Movie Awards, of which 4 were won. all the four films were nominated for a total of 25 Teen Choice Awards, of which 16 were won. HIDDEN MICKEY (PotC 1): The final cannon shot during the Black Pearl’s siege of the town, billows into a Mickey Mouse head shape against the night sky. PotC 1 was originally just “Pirates of the Caribbean” but the name was changed in the hope that it would do well at the box office and a sequel could be made. PotC 2 was the first film to feature Disney’s new logo, a computer-generated model of the Magic Kingdom, replacing the blue and white silhouette. PotC 3 was the most expensive film ever made, not adjusted for inflation. The budget ran at $300,000,000. That’s more than the budget of all three Lord Of The Rings films combined. filming of PotC 3 started without a finished script. PotC 4 was the only film of the franchise to not receive any Oscar nominations. PotC 4 is loosely based on the 1988 pirate novel ‘On Stranger Tides’, by Tim Powers. While filming PotC 4 in London in October 2010, Johnny Depp received a letter from a local 9-year old schoolgirl, telling him her classmates needed help to ‘mutiny’ against her teachers. He turned up with almost no warning at the school in full Sparrow outfit, but advised against mutiny. Captain Jack Sparrow – played by the aforementioned Johnny Depp – he’s perfect for this character! Pirates – I LOVE pirates :D Especially when they’re called Captain Jack Sparrow! Swashbuckling Adventures – see above, but also, the films are full of adventure, sword fights, chases, pirate ships, treasure and lots of humour! Day 90 of #100DaysOfDisney is done – 10 to go!